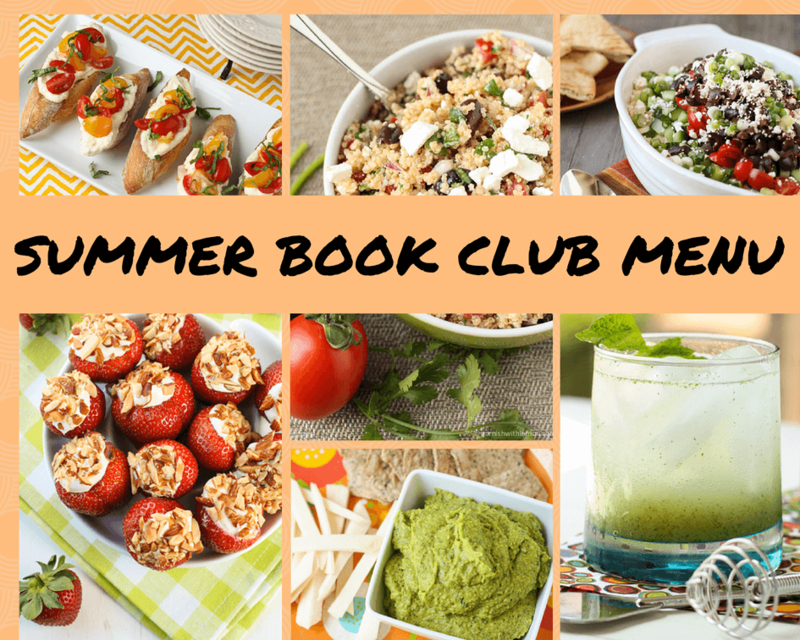 The perfect summer book club menu! Get the prep done ahead of time so you can enjoy your evening with friends, nosh on some great food and discuss your latest read. Book Club. Are you in one? I am and have been for 10 years…the same one. Granted, the women have changed a little over the years. Some have moved away to different states, and others moved on due to busy schedules, but there are 5 that remain constant. And after 10 years, we still meet every month and we all read the book. Crazy huh? My friend Rachel, who used to be in book club before she moved to Atlanta, has been begging me to do a post on Book Club Menus for months. So we will start with a Summer Book Club Menu. Here you go Rachel; this one’s for you. Traditional book club menu follows the same protocol each month and consists of wine, heavy apps and a dessert. The book club favorites have evolved over the years, but here is a go-to menu to satisfy everyone’s cravings. Everything can be prepped ahead of time, so you can relax and enjoy the night with the girls. Bootlegs – We usually do wine at book club, but summer calls for a fun cocktail to mix things up. 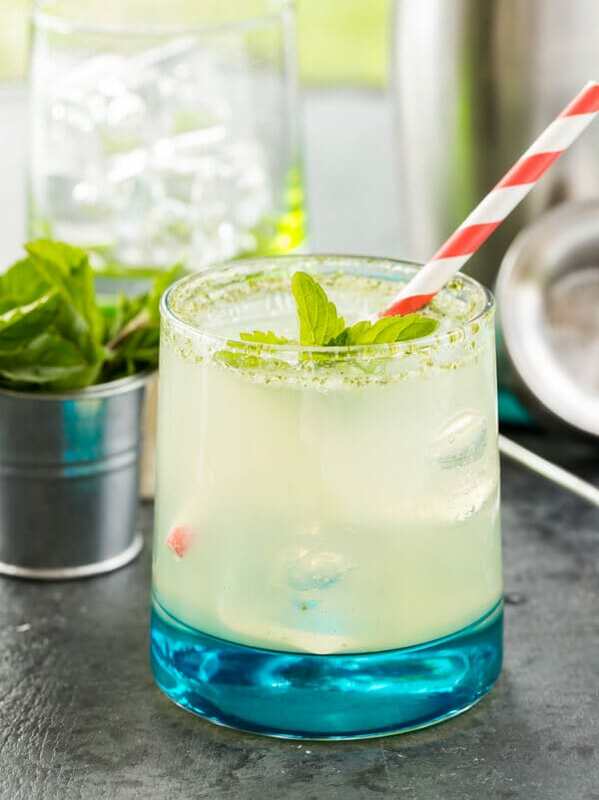 And nothing says summer like a cocktail full of mint, lemon, lime and gin. 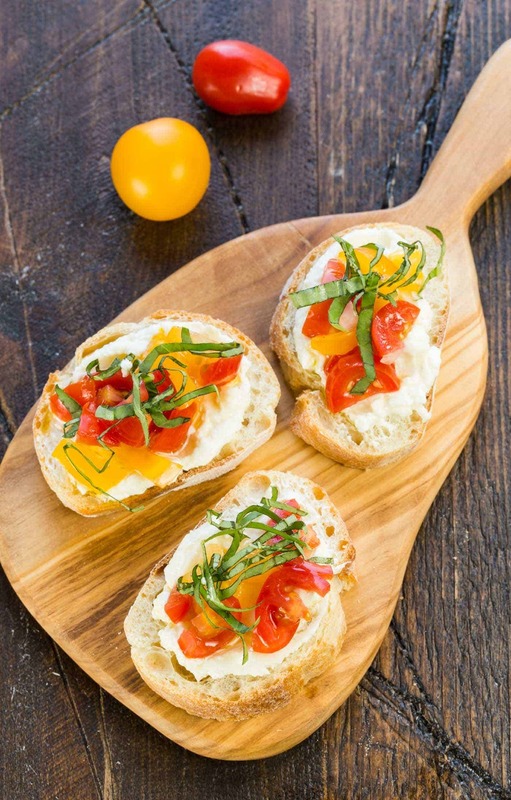 Crostini with Whipped Feta and Tomatoes – This is summer freshness on a platter. Garden fresh tomatoes, lemony whipped feta and crusty bread. 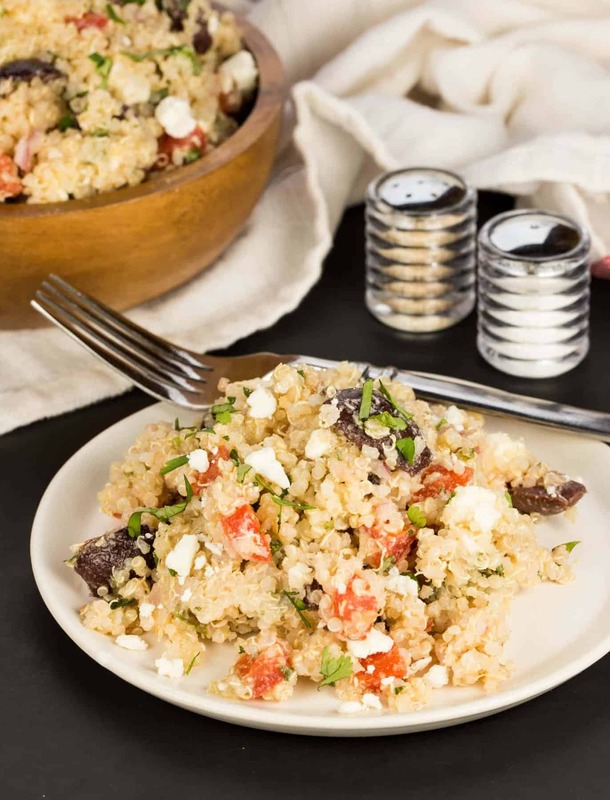 Mediterranean Quinoa Salad – Full of protein and flavor, this salad always disappears. And if you have any left over, it’s fabulous the next day. 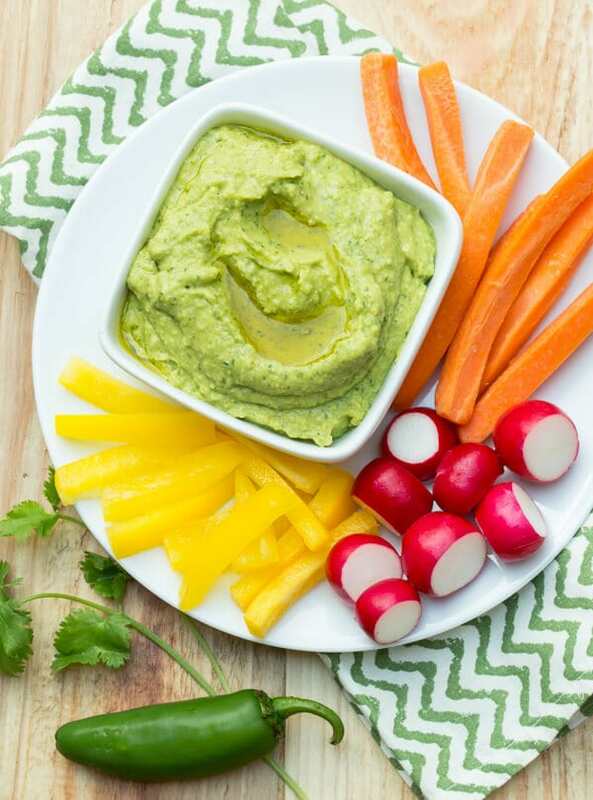 Cilantro Jalapeno Hummus – The name is really kind of deceiving as the jalapeno brings a ton of flavor but not a ton of spice. Add some vegetables and you are in hummus heaven. 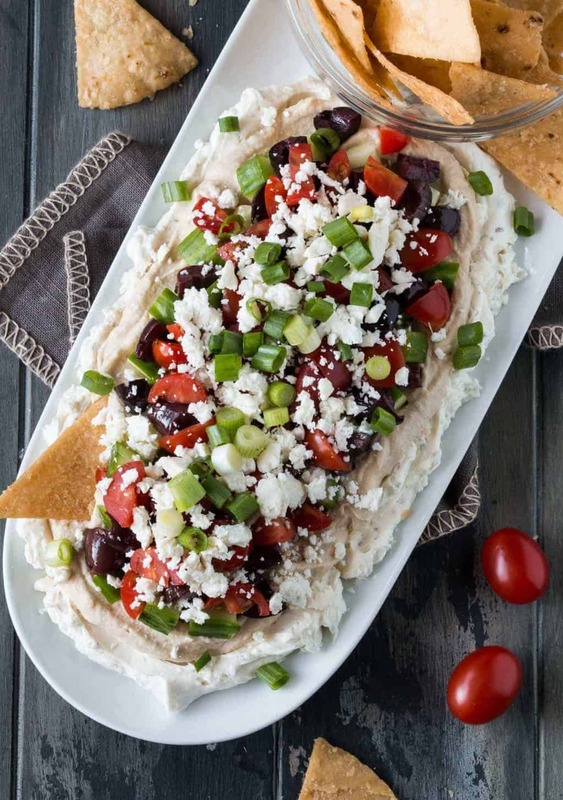 Layered Greek Dip – A healthier version of a traditional seven layer dip, especially if you dip with veggies instead of pita. And it’s a requirement to finish with something sweet. 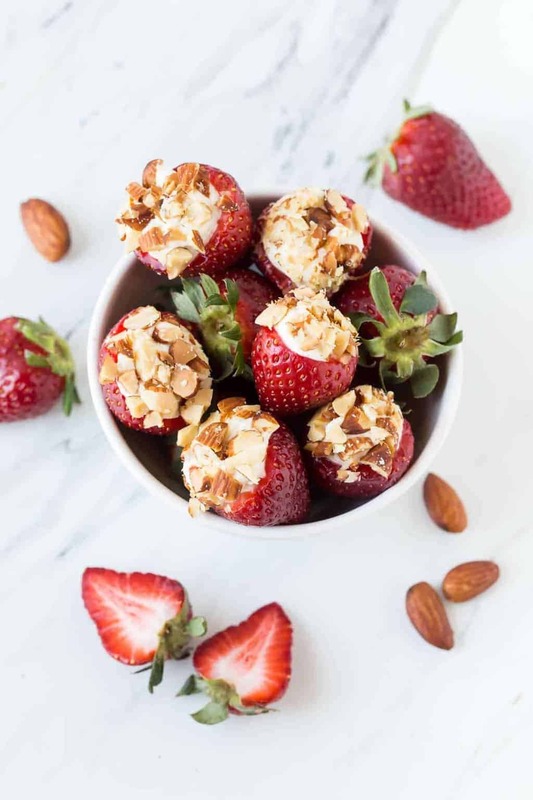 These Cheesecake Stuffed Strawberries are easy to make them ahead of time. Set them out with the appetizers, and your hosting duties are complete. We are always looking for great reads, especially those that give us a great discussion. Our latest was, We Were Liars by E. Lockhart. Have you read it? If not, put it at the top of your must read list. Promise. 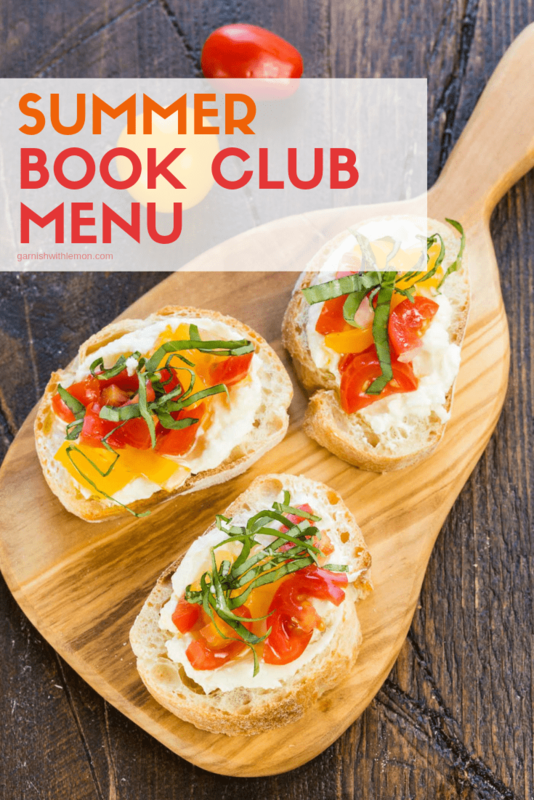 What a fun idea to post a book club menu. I used to be in a book club, (I was the one who moved away) and this would have been so much fun to try. Thanks, Sandi! The bootleg is such a good drink- one of my summer favorites! I am hosting my first book club meeting tonight and desperately looking for recipe ideas. Thanks for the tips. We are reading “The Unexpected Inheritance of Inspector Chopra.” Great read. I made this for my book club last night and everyone raved! I appreciate that it is vegetarian since I always have trouble cooking for the one vegetarian in our group. Delicious, thanks! So glad you loved it! Thanks for being a Garnish with Lemon reader!